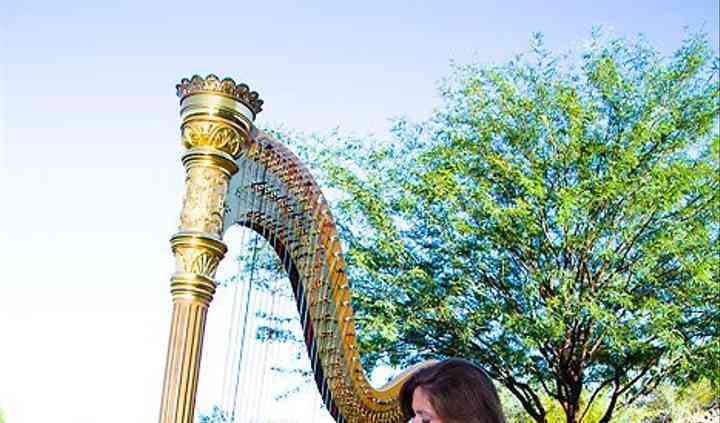 Christine Vivona is a professional harpist based in Tuscon, Arizona. 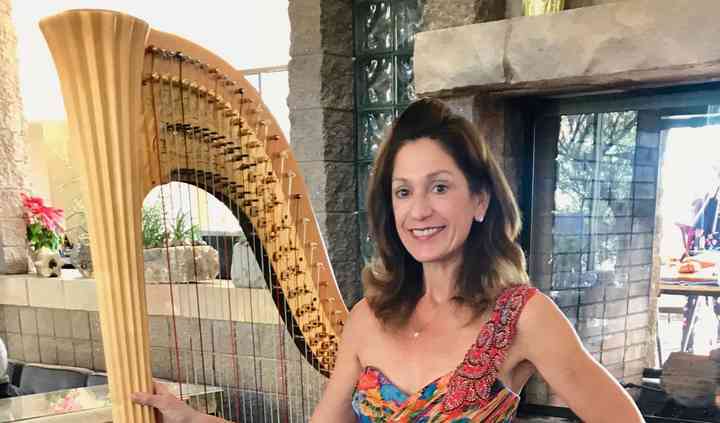 With her extensive training and background, she can provide elegant harp music—whether it be classical, jazz, or pop—that harmonizes perfectly with your wedding’s tone and style. Christine earned a Master of Music from The Juilliard School and a Doctorate in Music from the University of Arizona. 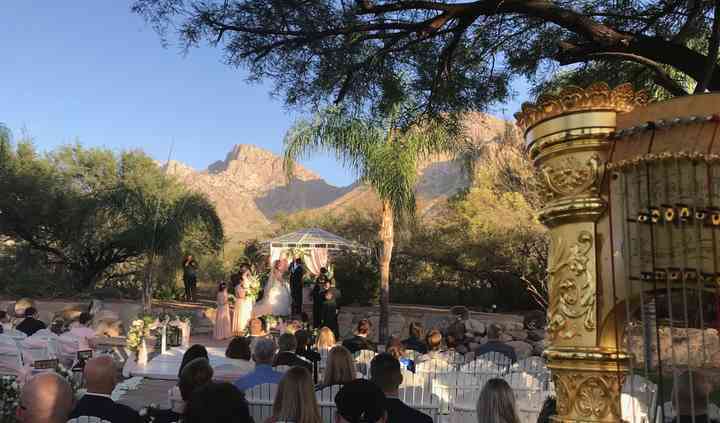 In addition to performing at weddings throughout the Tucson area, she plays Harp II in the Tucson Symphony and can be heard regularly at Westward Look, Hacienda del Sol, and Canyon Ranch. Christine is wonderful! She played songs both before and during the wedding, including songs for entrances, exits, and our sand ceremony. She even included a CD of the songs that we requested for the ... Read more wedding! She is very professional and works out all of the details on her own (where to set up, equipment needed for the venue, schedule for the day, etc.) which meant that we had nothing to worry about for our big day. She was also very accommodating with our song requests- we wanted one for our sand ceremony that she hadn't played before, and she was more than happy to get a copy for us. I would definitely recommend her, and her prices are similar to other harpists we found in the area. Well worth it, and our guests loved her as well! Amazing musician! So glad we booked Christine! Christine was AMAZING! What a sweet woman and talented musician! She added the perfect ambiance for our wedding ceremony. SO GLAD we booked her! Read more Christine was AMAZING! What a sweet woman and talented musician! She added the perfect ambiance for our wedding ceremony. SO GLAD we booked her! Beautiful music on our wedding day! Christine provided us with a harp and also brought a violin player with her by our request. 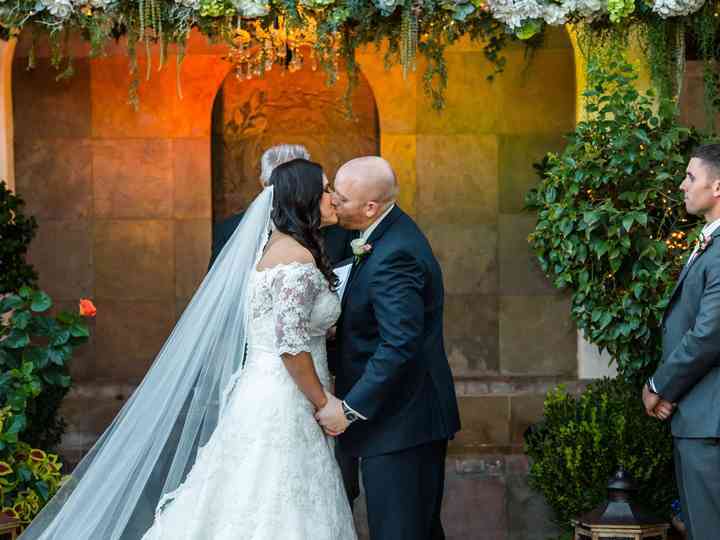 Our wedding was unique and wouldn’t have been the same without her ... Read more music. We would use her again in a heartbeat. 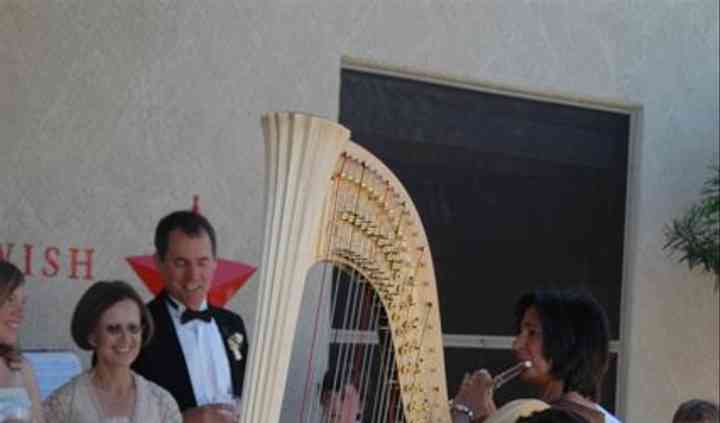 Christina's harp music adds a new dimension to the weddings and events we've worked together at. She works so well with the couples and plays music that people continue to talk about. We always love when she's at an event we are filming. What is more lovely than a Harp? Christine and her harp will bring lovely music to any occasion. Christine is an amazing & talented harpist. I have worked with her on several occasions & she does not disappoint! I am proud to recommend her to my clients.